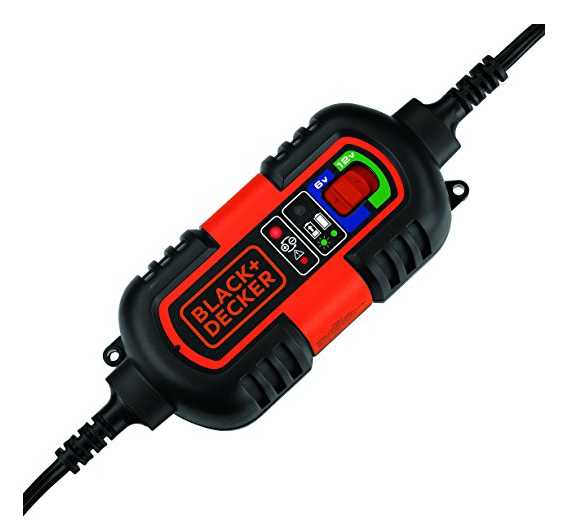 The Black and Decker automatic battery charger is not only a charger but a maintainer as well. This charger has a high frequency of 1.5 amp which works through all seasons. This charger is ideal for cars, boats, trucks and lawn mowers as well. If you own a vehicle that has battery with 6 or 12 volt then this is the perfect charger for it. 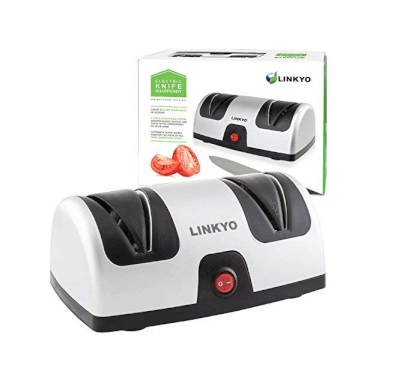 The best part about this product is that it is automatic so you don’t have to worry about trying to figure out how long to charge or when to charge. Simply connect it with the vehicle and it will do its job. This charger is also sealed in order to protect against oil, moisture and dust so it will retain its durability for a long time. There are two methods to attach this battery to your vehicle: O-ring terminals or vehicle DC plug. The Black and Decker car battery charger is also a favorite among customers because it is easy to use and affordable to purchase. It takes long to charge but it provides good options. When you are going on a long trip you can keep this charger with you to charge your car. Since it also comes from a trusted name you can buy this without hesitation. It has 1.5 amp high frequency. It can be used on multiple vehicles. It has different methods to attach. It is not ideal for heavy duty. The Schumacher Car Battery Charger is an automatic charger with different charging modes. It offers 50-, 10- and 2- amp charging modes for vehicles. Another useful feature about this charger is that it comes with an LED indicator which helps you check charging progress as well. Another great thing about it is that the 50- amp mode will come in handy when you want to emergency start an engine. On the other hand 10- amp charging mode offers fast charging. You will get your engine charged within 3 to 5 hours. However, 2- charging mode is for smaller batteries of 12- volt and charges within 2 to 12 hours. Because this is an automatic charger it will avoid over-charging the engine. 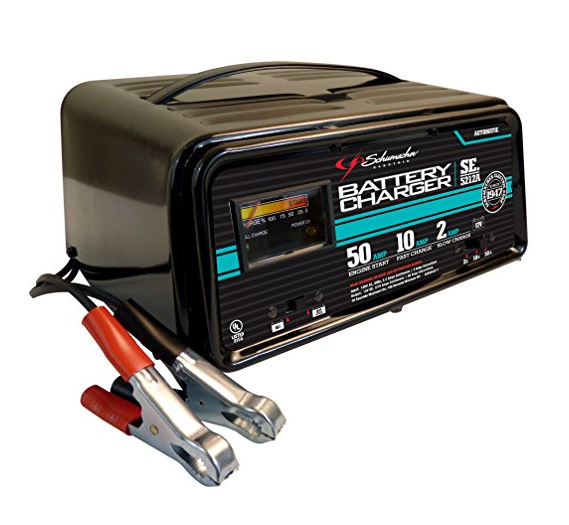 The Schumacher Car Battery Charger is made from heavy steel case that has a powder-coat finish. It is also an affordable charger and offers high quality charging which makes it an ideal choice. Another thing that makes it a favorite among many customers is that it will retain good quality even in harsh weather. Even if you live in a place where it is usually cold this battery will not trip. This can be a good option for heavy duty car battery charger. It comes with three charging modes. Good for heavy duty tasks. It might be hard to set up initially. This is a portable charger which is easy to use and offers good battery charging quality. 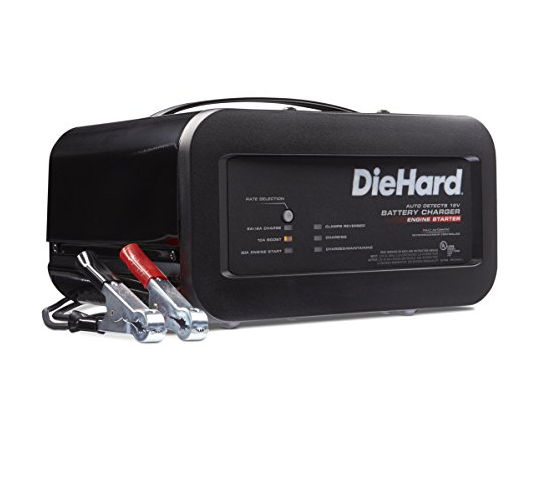 The DieHard battery charger is infused with Intelligent Charger Technology which will ensure proper and high quality charging of vehicle battery. It is ideal to be used for 12-volt battery. Since there are LED indicators you will be able to follow the progress as well. Since it is an automatic charger so you will not have to fuss about trying to figure out when to plug it off. This portable charger is microprocessor-controlled in order to provide precision of charging which will keep your vehicle from over charging. 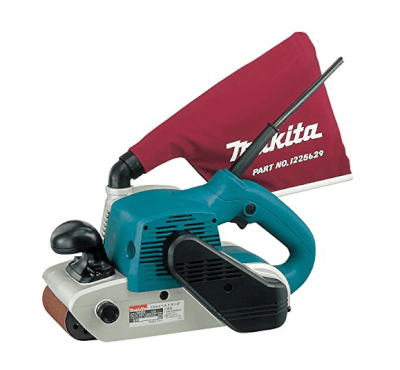 The DieHard charger is also made from durable material and comes with a 3-year warranty. The steel case will retain durability for a long period. There is also a Reverse Hookup Protection which will shut off the charger in case the clamps are not attached correctly. It also provides 50 amps of jumpstart power which will keep you ready for the go. Overall, this charger can be used on different vehicles. 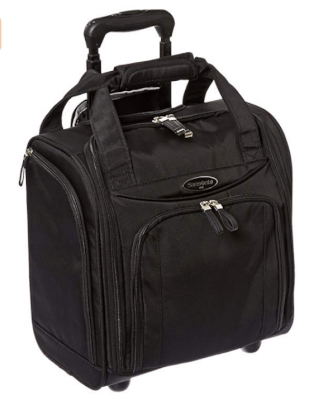 Since it is portable you can always keep this with you when you are on the go. It does not cost too much but it is a bit expensive compared to other battery chargers. It has Intelligent Charger Technology. There are LED indicators and buttons. It is an automatic charger. It might cost more than others. This battery charger offers two charging modes: 12 volts and 6 volts. It can be used for batteries that are worn out and do not work when connected to other chargers. Another thing about this charger is that it will not overcharge and protect against any mishaps. 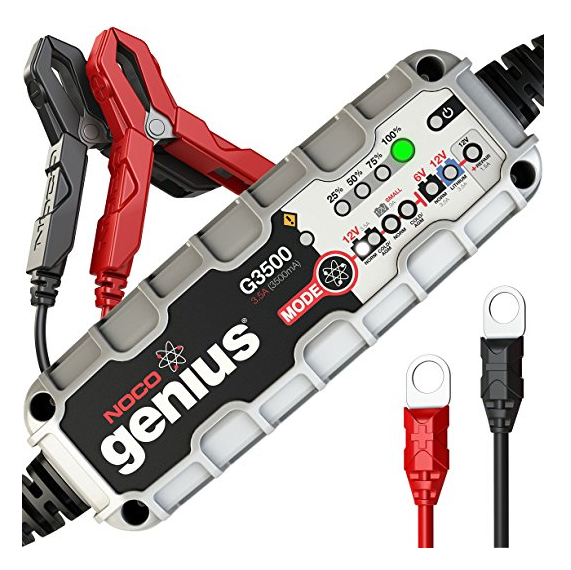 The NOCO charger also comes with an intuitive visual diagnostic tool which is useful in detecting damaged batteries, low-voltage or reverse polarity. This feature allows the charger to work according to battery type. The design is also made ultra-safe and with spark-proof technology to protect users from any risks. You can use this charger to charge vehicles like an automotive, marine, power sport, and motorcycles. In short, this charger can be used for various vehicles. Many customers who have purchased the NOCO car battery charger are satisfied with their purchase since it provides good quality battery charging. 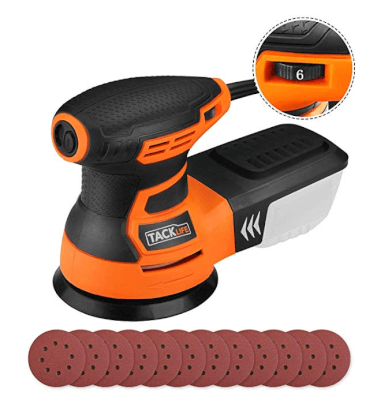 Although for heavy duty use this might not be the best pick, but for average time to time use this NOCO charger will come in handy. It is also cheaper than many of its competitors which mean anyone can afford it. If you are looking for a good quality, cost effective charger then this could be the right choice for you. It has two battery charging modes. It will detect the quality of battery. It is a smart battery charger. It is not meant for heavy duty. The GOOLOO Car Battery Charger is compact in size yet high in quality. It is small enough to slide under a seat or stored in a glove box when not in use. This charger can also be used to jumpstart many vehicles including motorcycles, boars, snowmobiles, lawn mowers and many more. Another irresistible feature about this charger is that it offers DUAL USB charger as well. You can charge any 5 volt device like camera or tablet with this car battery charger. This feature can come in handy when you are on a long trip. This charger also features an LED flashlight which will also come in use in case of emergency. 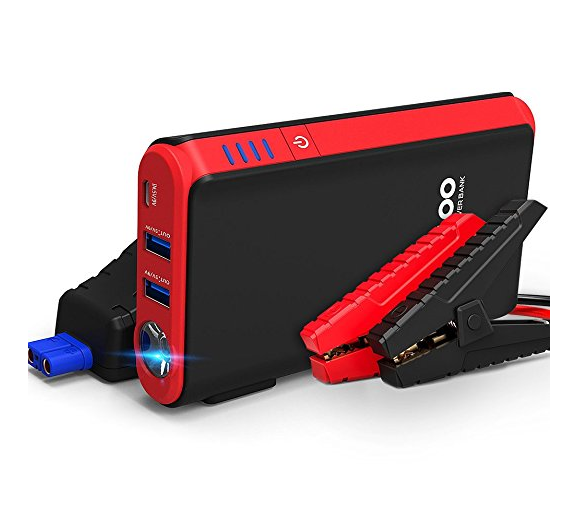 The GOOLOO car battery charger is also made to provide protection in case of short circuits, overcharging, reverse polarity, or reverse connection. This battery has a capacity for 10,000 mAh. This charger will provide 450 amps to charge your vehicle’s engine as well. This is a powerful charger that can be used in multiple situations. It is not overpriced which means that you can afford it on a budget as well. You can use this charger to jumpstart and charge your engine. This charger is also made to offer durability and will last for a long time. It is a compact charger. It offers strong jumpstart and engine charging. It has multiple special features. It might not be for heavy duty usage. This car charger features professional grade 30 amp high frequency charging of battery. It also offers jumpstart of 80 amp. 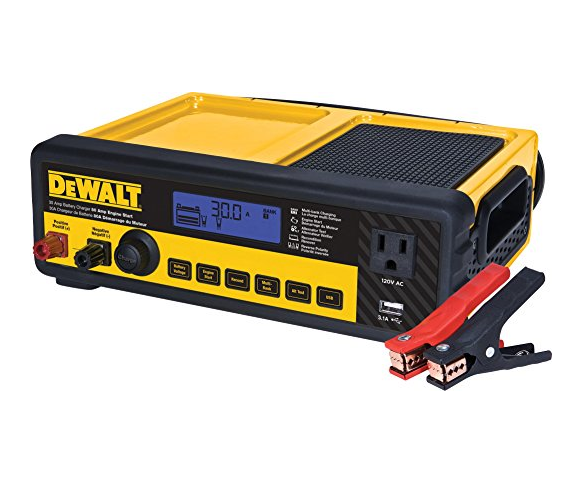 The DEWALT battery charger is not only efficient but also provides quick charging for engines. Another thing about this charger is that it will switch off on its own once your engine is fully charged thus protecting it from overcharging. This charger also comes with heavy duty cables which are durable and long lasting. The clamps are also made from metal and powder-coated to retain their sustainability. You can charge two 12 volt batteries with this charger at the same time. The DEWALT Car Battery Charger also has an LCD screen which will indicate the current battery voltage. All in all, this is a heavy duty car battery charger which can also be used for professional use. If you run an auto business then you can use this charger to charge many different types of vehicles. Since it also offers jumpstart it will come in handy for emergency situations as well. 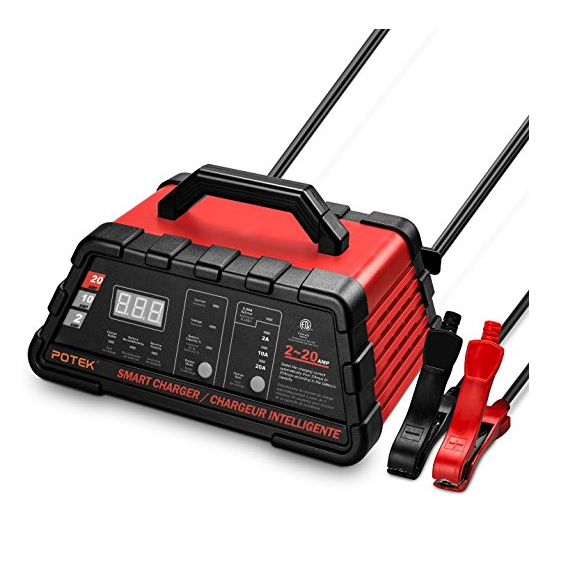 This charger is more expensive than many other car battery chargers but the quality is also made for heavy duty use. This charger is not only durable but offers high-frequency charging in a shorter time span. You can charge two engines at the same time. It is made for heavy duty use. The Peak Car Battery Charger offers 15 AMP smart charge. It also comes with 12-volt vehicle jumpstart yet it is portable in size. This charger is also made to provide efficient battery charging during harsh winter time when engines are bound to freeze. Another thing about this charger is that it will detect when the battery is full and stop charging on its own. It also features a heavy duty transformer as well as rectifier. This will protect your engine charging against any short circuiting. The Peak car battery charger will also detect correct polarity. It offers 4 volts DC at battery terminal at minimum. The cables of this charger are corrosion resistant and made for heavy duty usage. This ensures the durability of the cables. The clamps are made from steel which is nickel-plated in order to resist against rust and dust. You can connect Peak battery charger to side or top-mounted battery terminals. This charger is also cheap so you can buy it easily. The Peak charger can be used for any 12 volt vehicle including car, motorcycle, boat, or lawnmower. 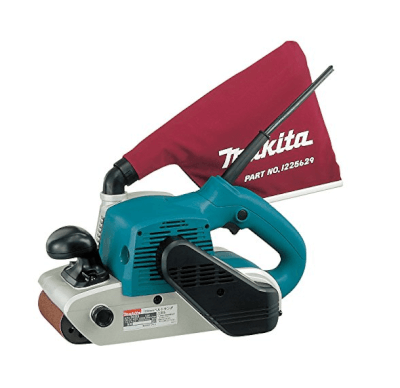 Since it is affordable and ideal to be used in harsh weather conditions it is a good choice. It offers charging of 15 amp. It charges in harsh weather conditions too. It is a smart charger. The POTEK Cat Battery Charger is an automatic charger which charges at a speed of 20-amp. It will charge efficiently and quickly while also maintaining self-adjustment. It will monitor the condition of the battery in order to adjust battery charge rate to suit the engine. This feature will prevent any damage to your vehicle. This charger is suitable for any 12 volts vehicles such as cars, motorbikes, boats, or trucks. You can also manually pick from three different charging rates despite the automatic feature. Since there is also a digital display you can track the current charge rate as well. This charger also comes with short circuit protection, overcharging protection and reverse polarity detection. In a nutshell, this is a good quality car charger which will come in handy every once in a while for private use. 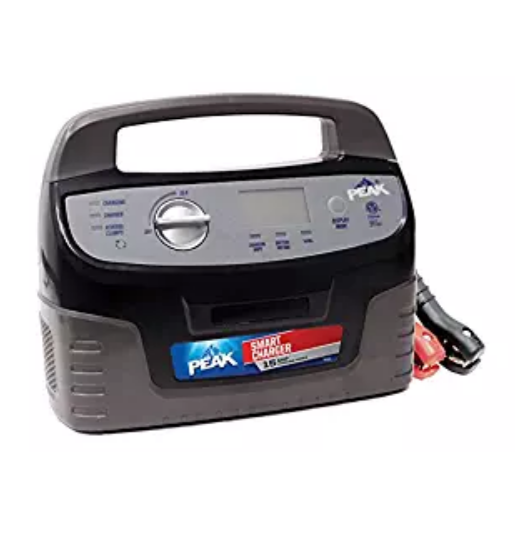 Instead of having to rely on anyone else you can charge your vehicle engines on your own with this portable car battery charger. This charger does not cost too much compared to many other chargers but the quality is still good. You can keep this charger for private use. It provides frequency of 20-amp. It can be used for any 12 volt vehicle. It is automatic as well as manual. It does not provide heavy duty work. There are high-end and cheap car battery chargers to buy from. If you are looking for a charger for professional use then you can purchase heavy duty chargers whereas for private use you can buy compact chargers. Some chargers also feature emergency kits that are ideal when you are travelling on your own. Judging by the quality of your car engine you can browse through multiple options before purchasing a car battery charger.